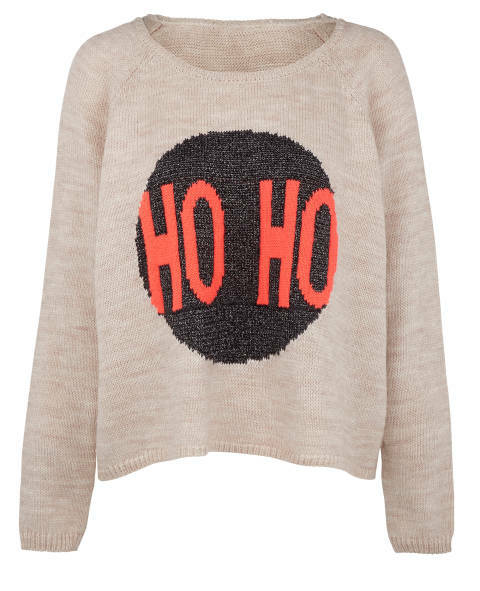 Over the last couple of days I’ve developed a strange urge to own a Christmas jumper. I’d never even heard of the concept until I saw ‘Bridget Jones Diary’ and had always dismissed the concept as an Americanism. But now they are a proper ‘thing’ in the UK. 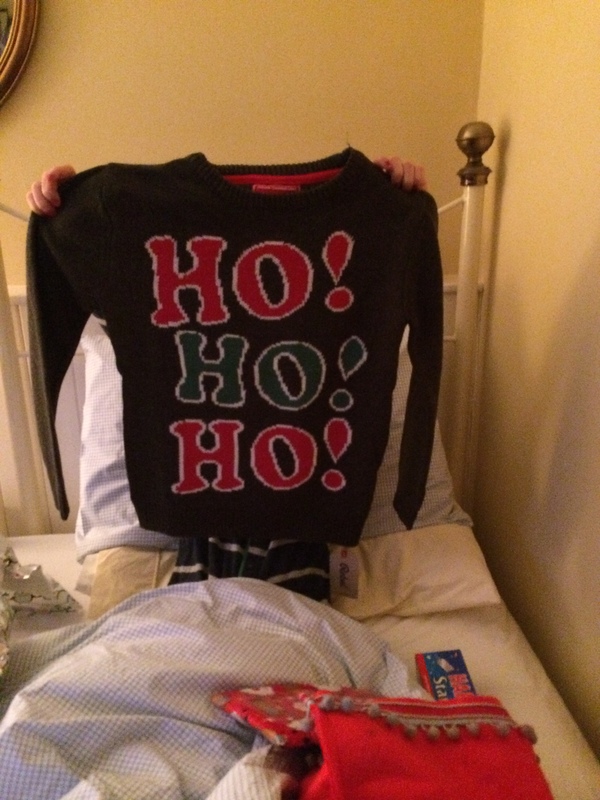 I bought my daughter a cheap one from Primark last year and it did make Christmas morning that little bit more jolly, having her trotting about in it. 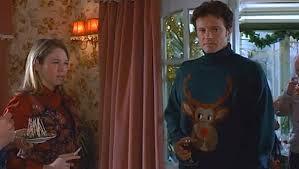 I think one of the reasons I want one is it’s an excuse to buy another novelty round-necked sweater. 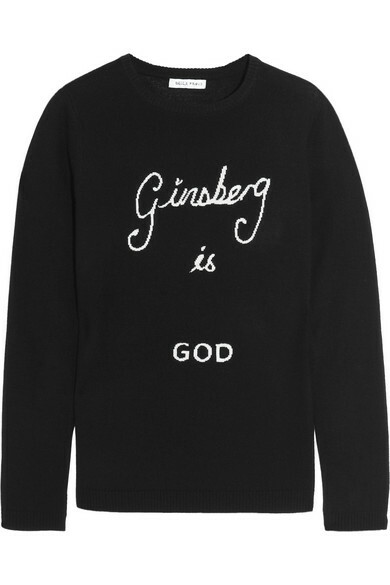 I’m obsessed with them, particular ones by Marcus Lupfer and I loooong for a Bella Freud ‘Ginsberg is God’ jumper. 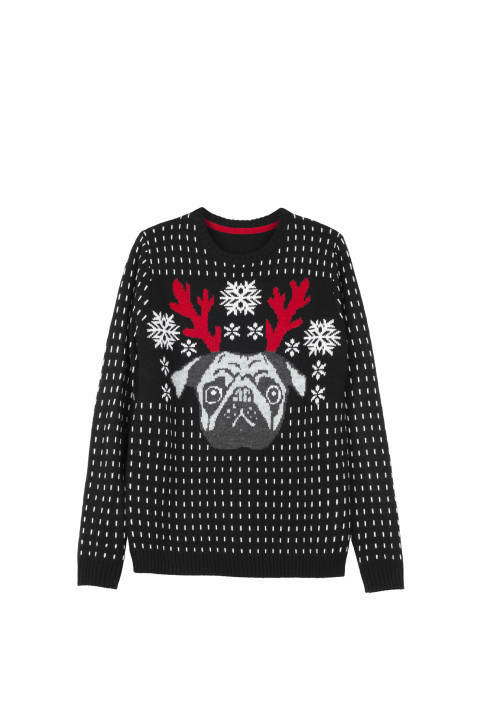 With Christmas jumpers though, I waiver between wanting a ‘tasteful’ one, or really getting into the spirit of it and buying something crass in harsh acrylic. 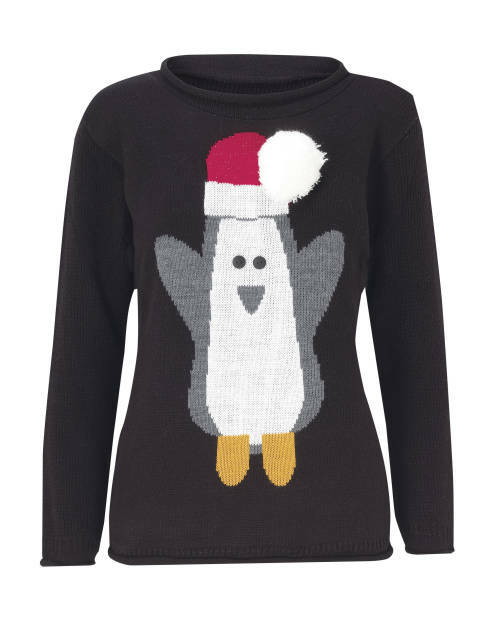 On the chicer side, I saw a really nice Clements Ribeiro one in TK Maxx today, with Christmas crackers on the front, but wobbled about buying it – then I came home and found the perfect excuse. 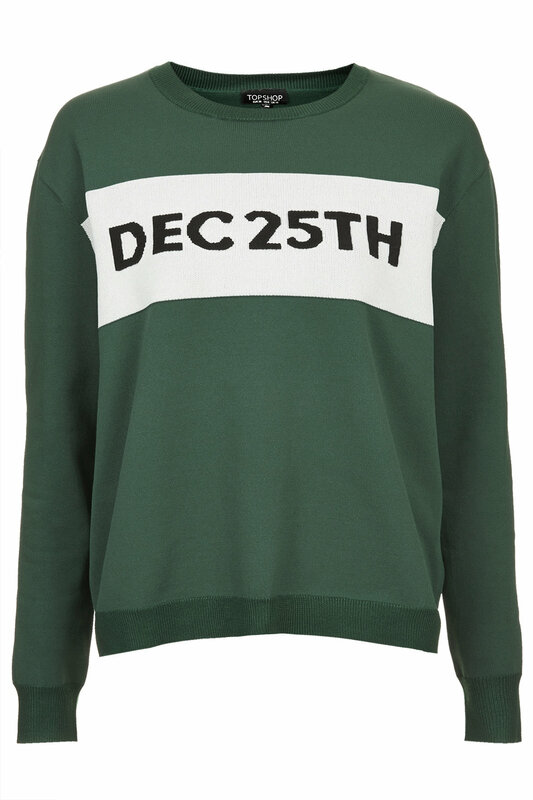 Save the Children have declared December 12th ‘Christmas Jumper Day’. It’s the third year of the initiative and I’d never heard of it (which is what happens when you spend all your time working alone…). You pay £2 to take part, do fund raising activities – and this year the UK government is going to match every pound raised. I’m in. I’m going to get that jumper. I’ve been a fan since your GW days, and have all your novels. I love your writing, but don’t often comment. Part of my take on the Gratitude thing is to make an effort to acknowledge and contibute comments to those writers/bloggers who add richness to my life. Your work has done that for many years! And, no from Sydney to the jumper, too Hot and I can’t come at the tshirts! 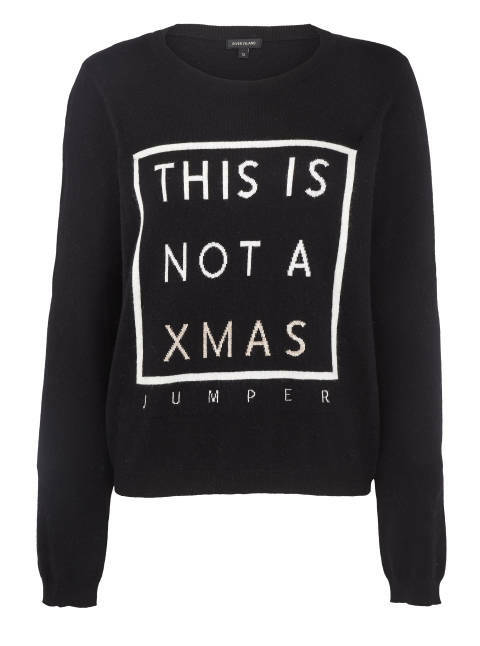 Definitely acquire a Christmas jumper, it is Christmas after all. Brisbane will be way too hot for a Christmas jumper, but a Christmas frock is most certainly in order. Like your commentor Meg above, I cannot do the t-shirts either. I haven’t got time this year to create myself one so I did a reconnoitre in a large shopping centre yesterday, and came home thoroughly dispirited. After trawling though Sportscraft (where usually I want to buy all the things), Witchery, Trenery, Laura Ashley (another place that usually appeals), Jacqui E, Review, Jigsaw, Ted Baker (what was I thinking, I am clearly 2-3 decades too old, but how do the young things possibly afford it?) and both Myer and David Jones, I was thoroughly disappointed with current RTW offerings. Once home I flicked through my wardrobe and well, what do you know, I found at least three frocks that are Christmas Day contenders (i.e. festive colours, natural fibers, haven’t appeared at any previous Christmases). And the added bonus of when I flicked through I did some culling into the op-shop bag. Shopping my wardrobe and culling, I’m feeling very smug with myself!